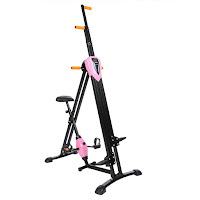 Simulate mountain climbing in the comfort of your own home with the Ancheer Vertical Climber Machine and get the added bonus of a basic exercise bike – all in 1 machine! Using your body weight as resistance, the Ancheer Vertical Climber gives a workout similar to rock climbing. It offers multiple settings so you can choose the level of difficulty and combines cardio exercise with a full-body workout that targets all the major muscle groups of the body - toning your legs, abs, triceps and biceps, as well as burning calories to help you lose weight. 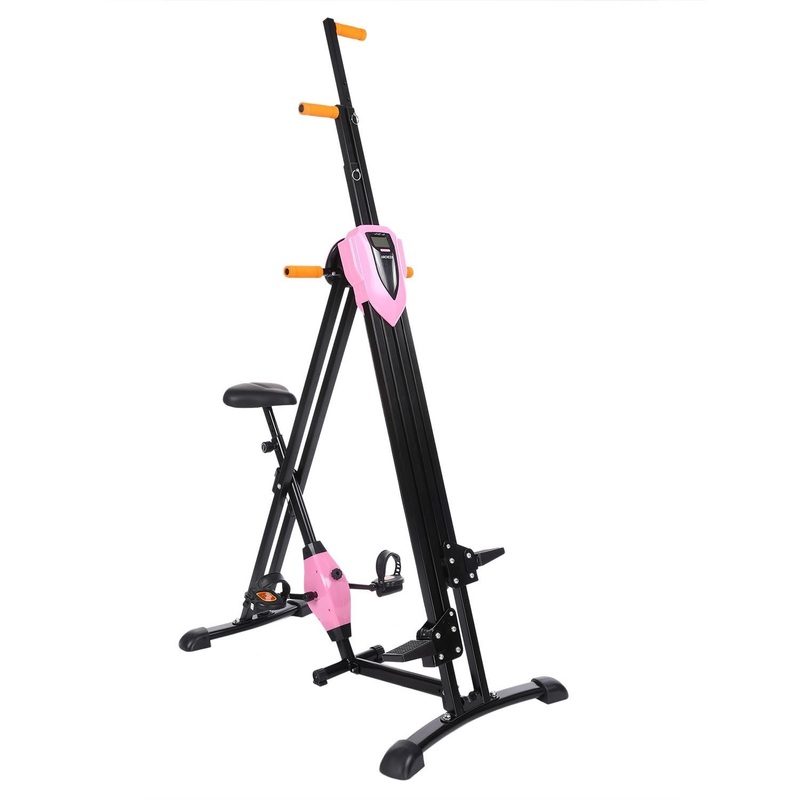 The Ancheer Vertical Climber Machine is ergonomically designed and has adjustable climbing arms for different user heights (height limit 190 cm / max user weight limit 330 lbs). 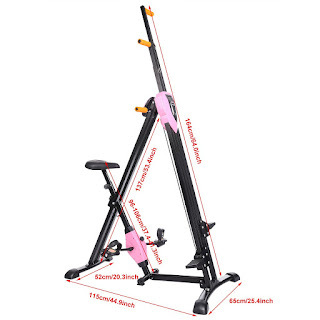 It features isometric non-stick grips for comfort and has a 75 degree inclination for safe and stable operation. 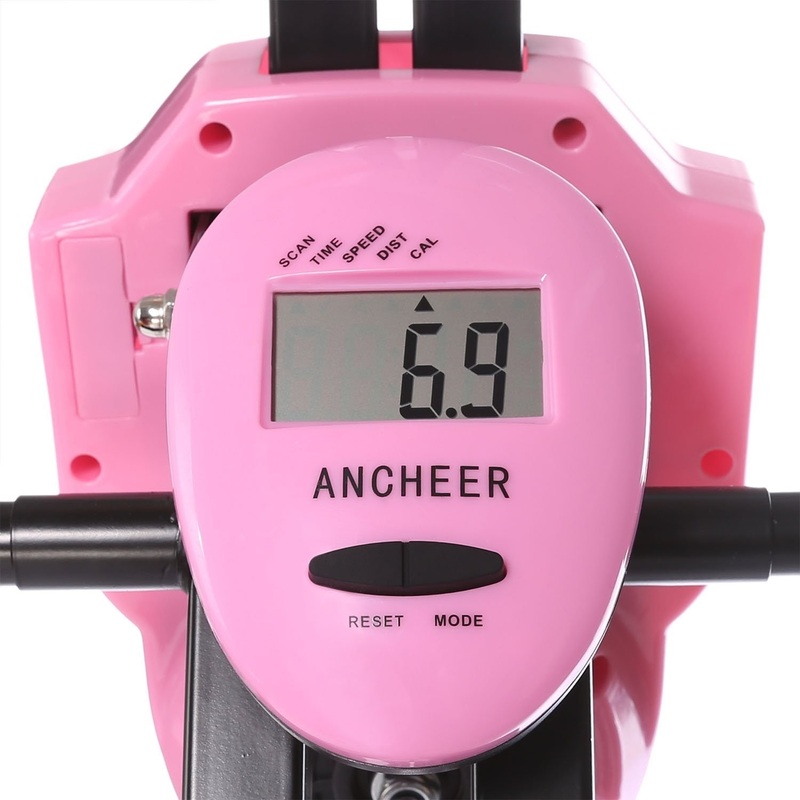 Uniquely designed, the Ancheer Vertical Climber Machine incorporates the added bonus of a basic exercise bike. The bike has very little resistance but is ideal for warm-up exercises to help prevent leg sprains. 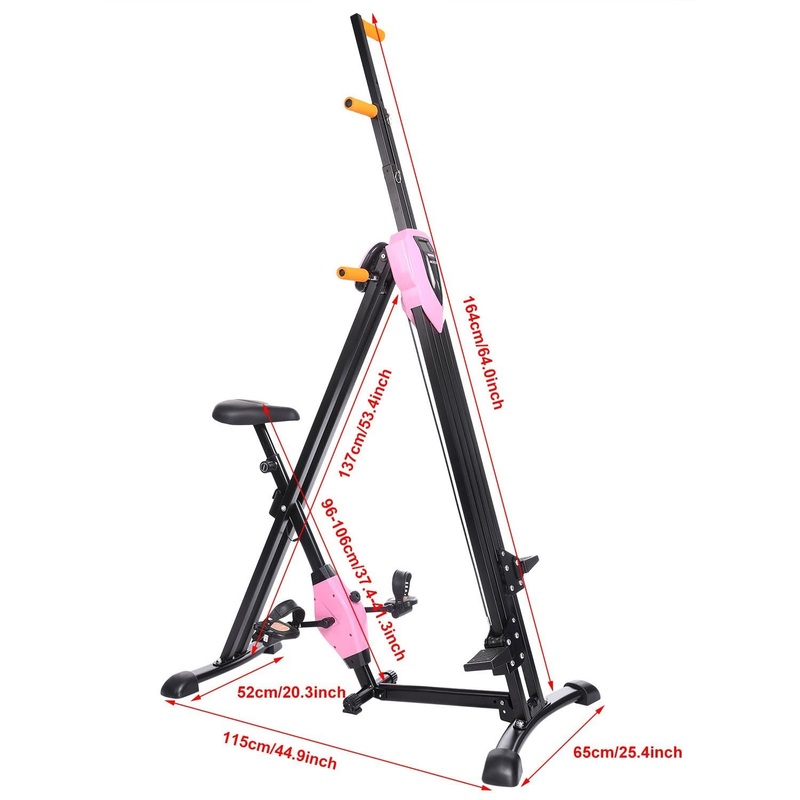 The bike has large pedals with adjustable foot straps for safety and the handles feature thick-padding for user comfort. The Ancheer Vertical Climber Machine comes with an LED monitor for both the climber and the bike which displays motivating workout stats as you exercise, including time, speed, distance, scan, and calories. 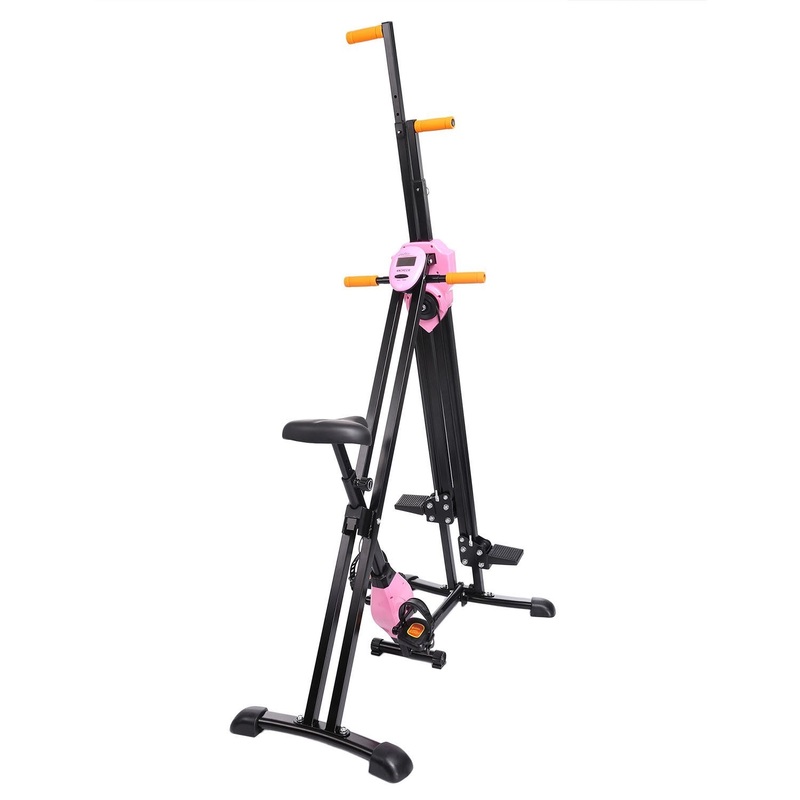 The Ancheer Vertical Climber Machine features a folding frame designed for easy storage.